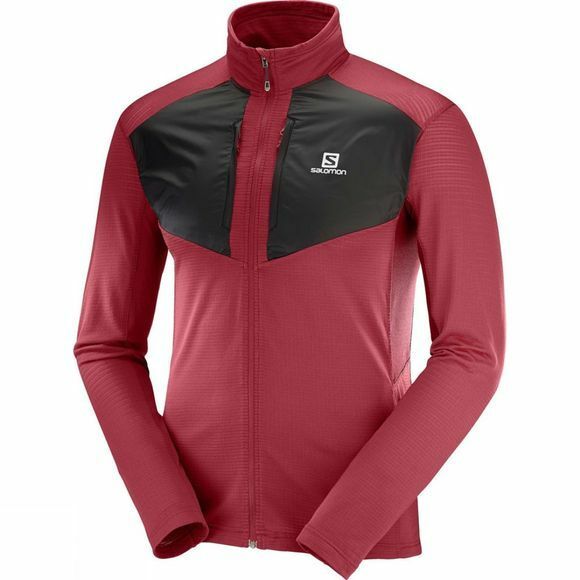 The fabric of the Salomon Mens Grid Full Zip Midlayer top is a structured 'grid' pattern that makes it both more breathable and better at creating loft than any traditional fleece. So it is a really warm midlayer under a shell, but open the vents or wear it as an outer layer, and you get superior breathability. It even dries faster than other fleece, making it ideal for all outdoor activities.